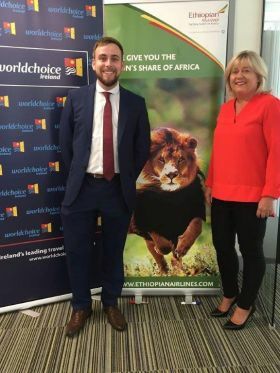 Carol Anne O’Neill (Commercial Manager Worldchoice Ireland) announced that the group will be launching a once in a lifetime Fam Trip to Namibia with destination management company Obeo Travel and award winning Ethiopian Airlines. The 10 night trip will depart on the 6th December with Ethiopian Airlines and will showcase the best of Namibia including Safari & Desert experiences, along with the beautiful coastal town of Swakopmund all arranged by Obeo Travel. The group will also get to experience what Addis Ababa as a destination has to offer on their return journey.